Breast-feeding is a natural process that is beneficial for you and your baby. Especially for new moms, this task can seem daunting. How do you position the baby? Should you buy a pump? 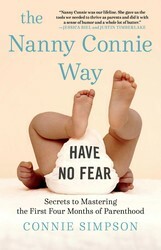 Nanny Connie, the beloved nanny of the stars, shares her tips for breast-feeding in THE NANNY CONNIE WAY. Your breasts are now fulfilling their true purpose: pumping out liquid gold to support your newborn. Be proud and thrilled that your amazing body can do something this wonderful. #1: Eat fatty foods! You have to put fat in to get fat out for the baby. The fat in that fresh iced doughnut is going straight to your Krispy Kreme Dreams! Time to stock up on butter and olive oil, too. Also, one of the best things to help with milk production is beer, believe it or not. A little beer doesn’t have enough alcohol to harm the baby, but it really gets that milk flowing! #2: Rest!!! Especially during the first three weeks, which are vital for you and the baby. Minimize visits and socializing. Lie down when you want to. You just had a baby! 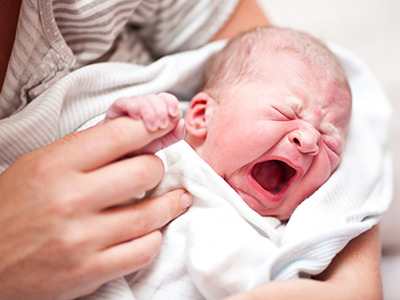 #3: Sleep when the baby sleeps to minimize exhaustion. This also helps maintain your breast-feeding schedule so that you and the baby remain in sync. Your best milk comes in the morning because you’ve been inactive for a substantial amount of time, allowing the fat time to build in your breast milk—it’s like Thanksgiving dinner to your baby. #4: Familiarize yourself with your pump as soon as possible. It will be your best friend! #1: Don’t stress. Stress can and will stop milk production. You need to be as relaxed during this process as possible. #2: Don’t sleep on your stomach. Sometimes breast compression can decrease milk supply. If you are a stomach sleeper and find your supply suffering, consider altering your sleep position to remove pressure from your breasts. #3: Don’t skip your feeding log/journal. It is the only way to keep track of your baby’s input and output. Now that you’ve mastered breast-feeding, we’ve rounded up more helpful advice for new parents. Excerpted from The Nanny Connie Way by Nanny Connie. Copyright © 2018 by Nanny Connie. Used by permission of the publisher. All rights reserved. From the beloved nanny to stars like Jessica Biel and Justin Timberlake, Emily Blunt and John Krasinski, and Cash Warren and Jessica Alba comes a loving yet no-nonsense guide to the first four months of parenthood so you can raise a happy baby—and be happy parents.There is nothing like the overwhelming love of gazing upon your beautiful newborn, but there is really nothing like the overwhelming terror of not being able to comfort that screaming baby. Have no fear! Nanny Connie is here with all the solutions you need for every baby-care dilemma from comforting a colicky infant to trying to breastfeed in public.